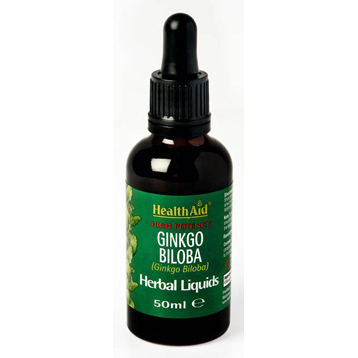 HealthAid herbal liquid botanicals are derived from top quality wild crafted or organically grown herbs that are meticulously processed to maintain purity and high potency. The herbs are cultivated without the use of chemicals, preservatives, herbicides, pesticides, fumicides or irradiation. Contents: This 1:4 extract of Ginkgo Biloba contains the equivalent of 250mg of herb to 1ml of liquid. Especially micro filtered to provide maximum purity. Shake well before use. Place 20-30 drops in small amount of warm water and take two or three times daily or as directed by health care professionals. Note: To reduce Ethanol content, place required amount in hot water, leave for two to three minutes, then take as directed. Consult professional adviser before using herbs if pregnant or breast-feeding.